01/09/2011 - Back from the summer break started at the end of the abroad exit in Spa-Francorchamps (Belgium), the protagonists of the Italian Formula 3 Championship will be back this weekend at the circuit of Adria for the fifth round of the season. 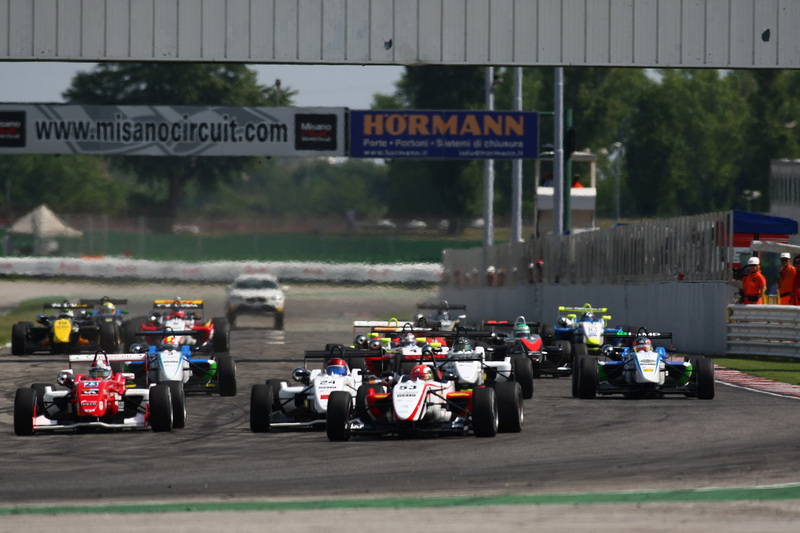 The 46th edition of the prestigious tricolored series by ACI-CSAI, powered by Fiat Powertrain since 2008, is about to face its second half of the season with with a thrilling title fight. On top of the absolute charts, after the results of the Belgian round, is Sergio Campana thanks to the fourth place in Spa's race one and the win in race two. The BVM-Target driver, always absolute protagonist in his third season of the tricolored series, for the first time in his career is leading the championship and is intentioned to keep the lead. Rivals will be strong and close to the top due to the incredible performance equilibrium. Among the most determined to give Campana some hard time is the Californian Michael Lewis, first of the rookies and just 5 points shy from the leader. The Prema Powerteam's driver, after the first pole position and victory of the season in Spa's race one, managed to get on top of the classification on Saturday but a contact in race two relegated him to the sixth place that was completed with the fastest lap of the race. Behind Lewis, both in the absolute and rookies classification, Maxime Jousse (BVM-Target) had a solid race in Spa where he got the second place of the podium in both races. Troubled weekend for Edoardo Liberati who, after three pole positions and two victories in race one, in Belgium has been forced to watch the fight for top position from the back as a spectator which resulted in his leadership loss. The young driving for Team Ghinzani aims now to continue his season to where it was before Spa. Just 16 points separate Liberati from the new leader Campana, but behind him gaps are also very small and the whole distance from the top of the classification could be filled with just one victory (worth 25 points). The weekend will start next Saturday with free practice scheduled for 10.10 and 13.05 (local time, GMT+2) while qualifying will be at 16.20. The two races will be on Sunday at 10.10 and 15.10.